City Ventures’ newest collection of energy-efficient townhomes, Vista Mar, is coming soon to San Diego’s vibrant Chula Vista area. The development features 87 townhomes, ranging in size from 1,680 to 1,940 square feet. 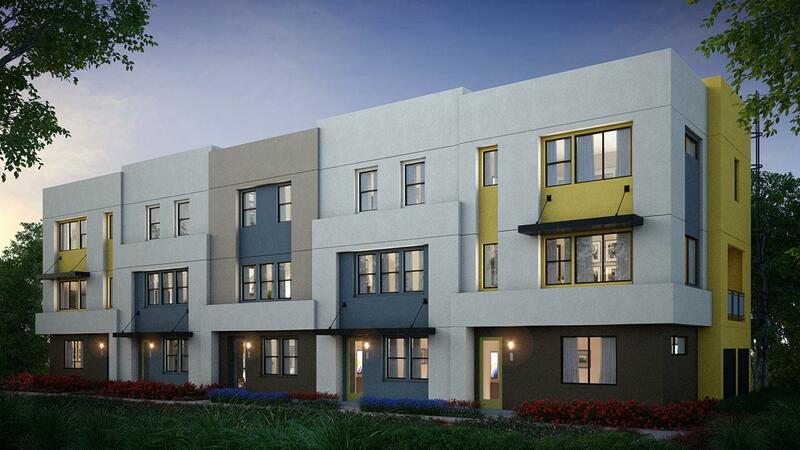 Combining contemporary finishes and spacious plans, the innovative townhomes offer functional living for all families. The two- and three-storey homes will have up to four bedrooms and three bathrooms, along with two-car garages. The townhomes are designed to bring more green into residents’ lifestyles with efficient ENERGY STAR appliances and all-inclusive green techniques, allowing homeowners to save on utilities. The homes include eco-friendly features, such as dual-glaze windows with ultra-violet coating, solar heat gain coefficient resistant screens and high solar reflective index roofing materials. Vista Mar is in a prime location where residents will have quick access to modern conveniences, including shopping outlets, dining venues and entertainment options. Residents can enjoy the outdoors at the nearby Coronado beaches and Balboa Park, and go for a hike at the National Wildlife Refuge. Vista Mar homeowners can also travel effortlessly around the city with easy access to Freeways 5, 54 and 805. Vista Mar offers modern living in a convenient community with townhomes starting from the high $400s. To receive the latest updates, click here to register. For more information call 619 500 2473, email VistaMar@CityVentures.com or visit the website.